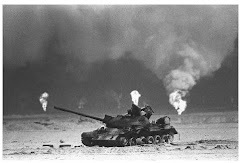 In February 1991, an armored vehicle passes through a breached sand berm separating Saudi Arabia from Iraq, paving the way for advancing allied troops during the Gulf War. Veteran claims for Gulf War illness are being rejected at high rates by the Department of Veterans Affairs because the agency is intentionally trying to rule out the condition, the Veterans of Foreign Wars group told House lawmakers. Twenty-five years ago, the Battle of 73 Easting pit just part of the U.S. Army’s 2nd Armored Cavalry Regiment against Saddam Hussein’s elite Iraqi Republican Guard. When the smoke settled, one American soldier was dead, as were thousands of Iraqi combatants. Six weeks of relentless bombing. A ground war lasting all of 100 hours. Victory declared. On Saturday, Scott Stump, president and founder of the National Desert Storm War Memorial Association, could not commemorate the 25th anniversary of the Persian Gulf War in Washington. Like the generals he fought under, Fred Wellman’s journey through one war would shape him for the next one, making him a stronger, harder and smarter seasoned leader. But it would also be his burden to bear. After Coalition forces drove Iraqi occupiers out of Kuwait in February 1991, U.S. Special Forces discovered an intricate sand-table model used by the Republican Guard to plan for the defense of Kuwait City. WASHINGTON — Veteran claims for Gulf War illness are being rejected at high rates by the Department of Veterans Affairs because the agency is intentionally trying to rule out the condition, the Veterans of Foreign Wars group told House lawmakers Tuesday. Aleks Morosky, deputy director of the VFW national legislative service, testified the VA often breaks apart the myriad symptoms of the war’s signature disorder and then separately assigns each condition to a doctor. The practice results in “minimally supported” diagnoses that often undermine veterans’ ability to get health coverage for the condition. The VA said it will look into the allegations and make changes if warranted. 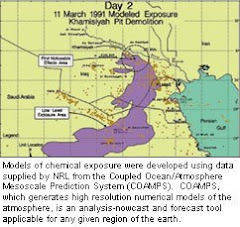 The department said its accuracy rate on Gulf War claims is about 90 percent. The testimony was part of the House investigation into whether veterans are receiving appropriate care 25 years after the war, which included a toxic environment of oil fires and chemical weapons, and why about 80 percent of Gulf War illness claims handled by the VA are still being rejected. “It is apparent to [VFW staff] that VA seems to go to great lengths to find diagnoses for each symptom, simply so [Gulf War illness] can be ruled out,” Morosky said. Hundreds of thousands of the 700,000 servicemembers deployed to the Gulf War in 1990 and 1991 have since come down with a cluster of unexplained health problems, commonly called Gulf War illness, which includes chronic fatigue, pain and gastrointestinal problems. Congress passed a law requiring the VA to presume the condition is related to the war and provide veterans health care. But the handling of Gulf War illness has remained controversial for years, with veteran groups claiming the VA has dragged its heels on doling out care and comparing the situation to the early lack of acknowledgment for Agent Orange exposure in the Vietnam War. Rep. Mike Coffman, R-Col., chairman of a House Veterans’ Affairs subcommittee and a Gulf War veteran, said Tuesday during the hearing that he is disappointed the VA appears to be ignoring the rules passed by Congress. “Does the VA need to be sued in order for the department to properly address presumptive claims pertaining to the 25-year-old Persian Gulf war?” Coffman said. David McLenachen, the VA’s deputy under secretary for disability assistance, told Coffman and other lawmakers on the Veterans Affairs panel that he would begin investigating the VFW charges later that same day. “First we have to confirm that that is a real problem that veterans are facing,” McLenachen said. The VA said last year it reviewed a statistically significant selection of 360 Gulf War claims and found two claims were improperly denied. Another 12 were insufficiently or improperly completed. “We’ve taken a lot of steps to improve how we process these claims,” McLenachen said.